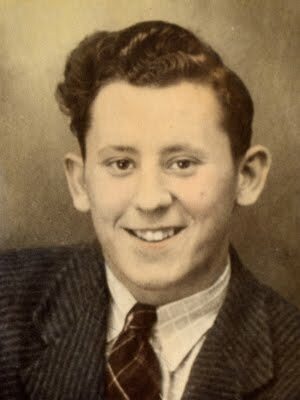 William (Bill) DeGonda was born in Le Center on October 20, 1925, to Swiss and German parents. 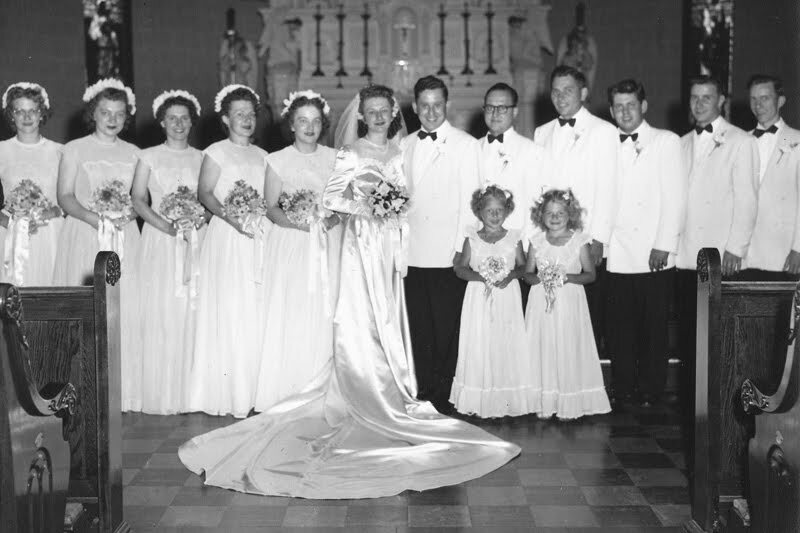 Bill met his wife, Rosemary Bednar, at Glen Lake Hospital in Minnetonka in 1946 while they were both recovering from a year long battle with TB. 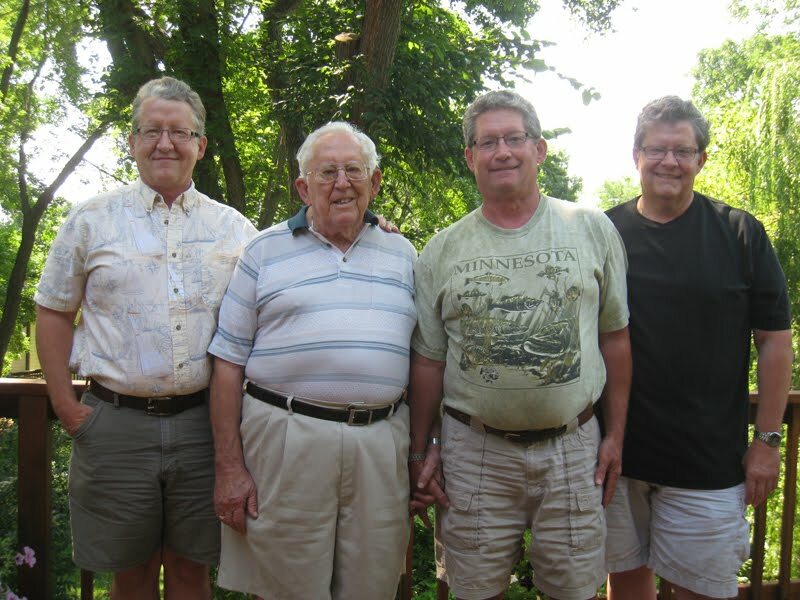 They moved to the Minneapolis area after their marriage in 1949 where they had 3 sons: Gregory John, Steven William and Paul George. Bill currently resides in Bloomington, MN. Bill’s primary and secondary education were completed in the Le Center school district. 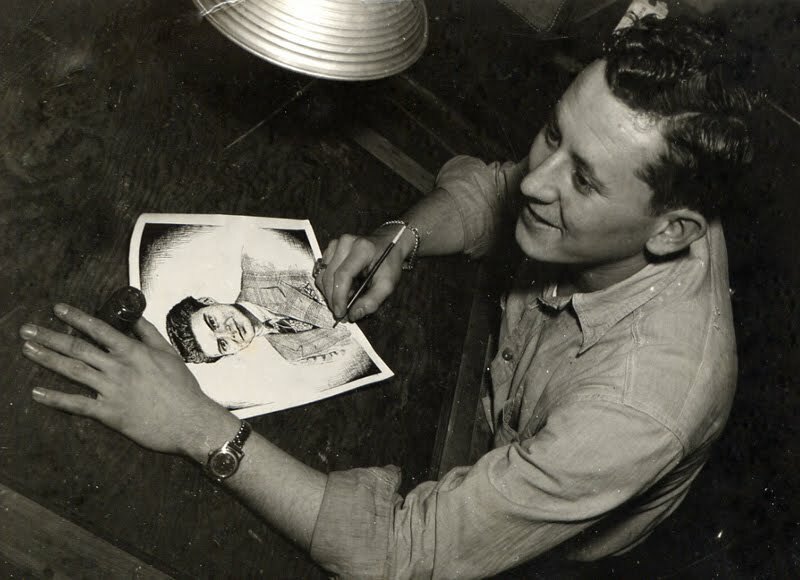 After serving in the military, he attended the Minneapolis Institute of Art where he studied many disciplines of art including drawing, sculpture, water-­‐color and oil painting. As a child and adolescent, Bill enjoyed basketball, football, ice-­‐skating and swimming. He was particularly fond of hunting on his uncle’s farm. Early on he demonstrated his creativity in his relentless pursuit of inventing a number of different unpatented products. In later years, Bill continues to enjoy fishing with his sons and maintains a passion for the game of golf. 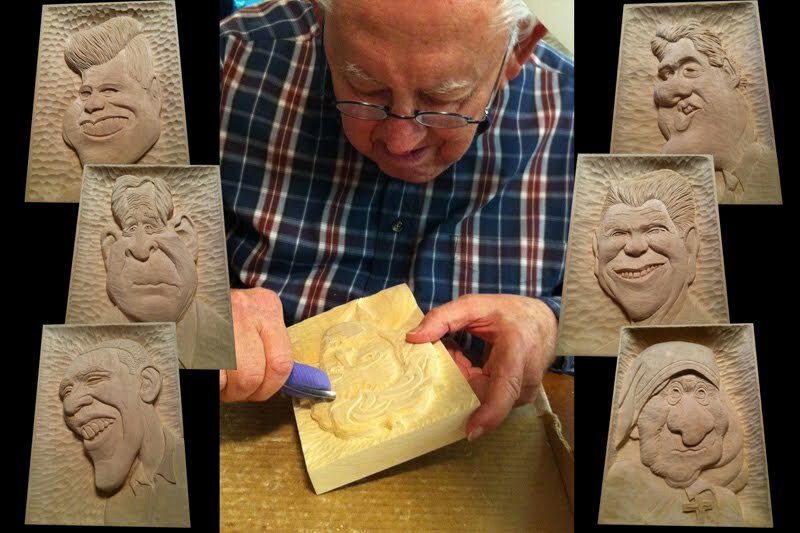 At age 85, he took up carving 3D wooden images of popular culture characters -­‐ currently one of his favorite pass times. Bill joined the United States Navy in October of 1944 shortly after the battle at Midway Island during the height of World War II. 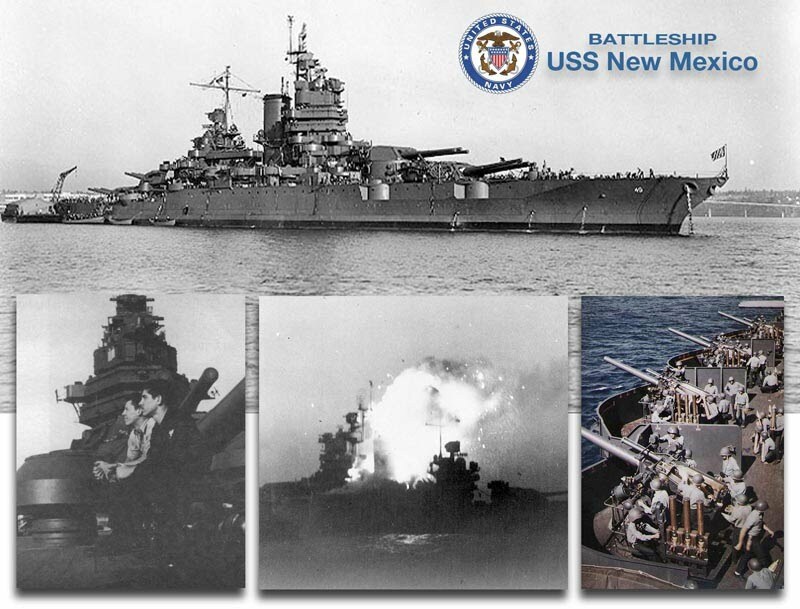 After basic training in Idaho, he went to the West Coast and was assigned duty on the USS New Mexico battleship. 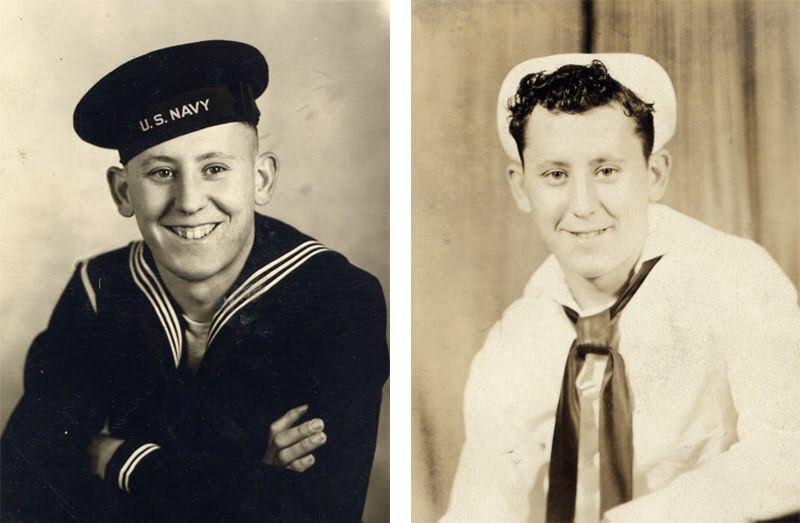 He served on the ship for approximately 24 months with duties in the print shop and special services photography. General quarters duties (offensive maneuvers) involved loading one of the 14 inch guns used for bombarding islands during pre-­invasion. The ship was involved in a number of campaigns during the war in the Pacific. Bill served approximately 35 months before being discharged from the service. 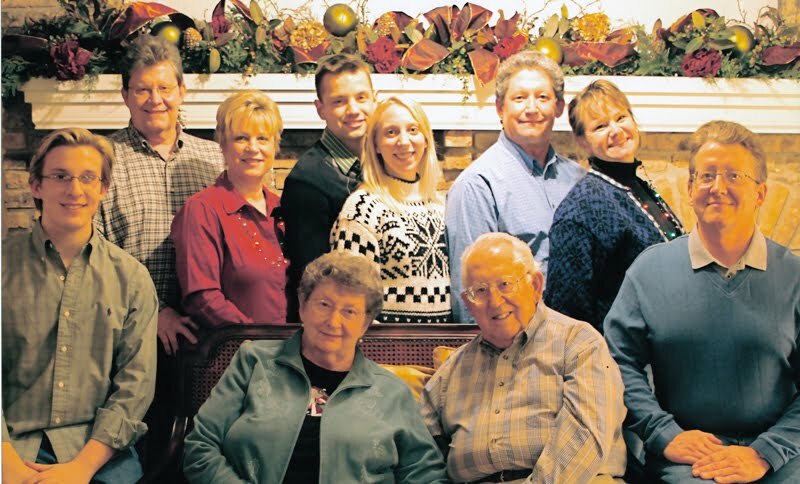 Bill was involved in a number of entrepreneurial pursuits throughout four decades. 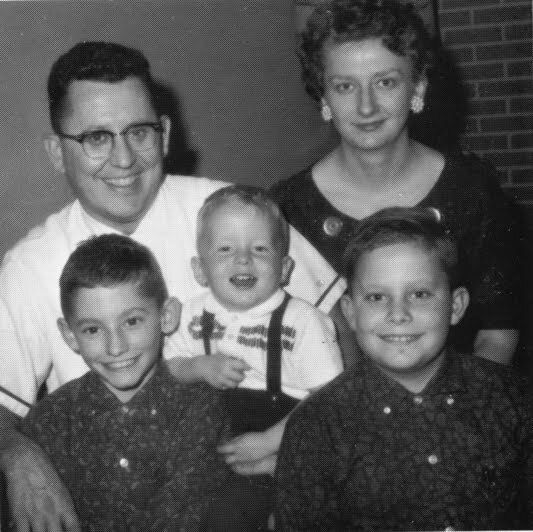 He began a graphic arts business in 1960 called RB Litho Service located in Bloomington, MN. The company was involved in performing graphic functions related to offset printing. RB Litho Service evolved and expanded into RB Graphics, which included typesetting and additional prepress capabilities. In the late 1960’s and early 1970’s the company changed names again, thereby becoming Computer Graphics, Inc., which offered all facets of offset and letterpress work with full art department services and chemical letterpress etching. In 1977, Bill’s talents as an artist and entrepreneur helped start a corporate recognition awards company called Awardcraft. This company was a wholesale manufacturer of corporate recognition products that primarily recognized service, sales performance and association within a company. Awardcraft also had an expanded line of golf products and recognition items. 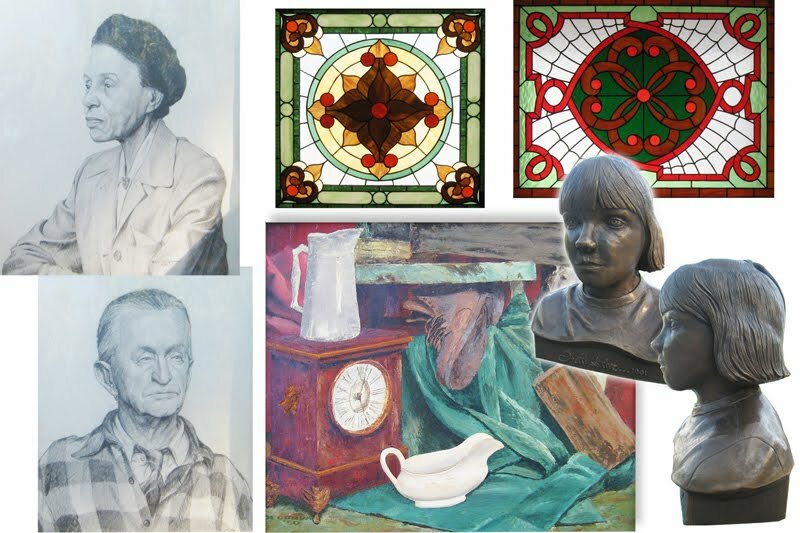 Product designs were innovative and unique involving a number of different manufacturing processes including chemical etching, laser engraving, screen printing, casting, vacuum forming and sand etching. During its peak period, the company employed approximately 175 people. Bill retired in 2001 after the company merged with an Ohio firm. In 1994, Bill began an endeavor to develop a golf course community in Winter Haven, FL, known as Lake Bess Country Club. This pursuit included the designing of a 9 hole golf course with a 50 home community. USS New Mexico (BB-40) off the Puget Sound Navy Yard, Bremerton, Washington, following overhaul, 6 October 1943. A barge and motor launch are alongside her port quarter, with sailors coming on board from the latter. Lower left: Bill on deck with shipmate. Lower center: USS New Mexico (BB-40) is hit by a "kamikaze" at dusk on 12 May 1945, while off Okinawa. Photographed from USS Wichita (CA-45). Lower right: USS New Mexico’s 5-inch guns prepare to fire during the bombardment of Saipan, 15 June 1944. Note time-fuse setters on the left side of each gun mount, each holding three "fixed" rounds of ammunition, and triple 14-inch guns in the background.